Lawyer-approved. Completely customizable. 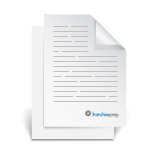 All the documents you need to launch a thriving franchise. Franchise agreements, operations manuals, and more. 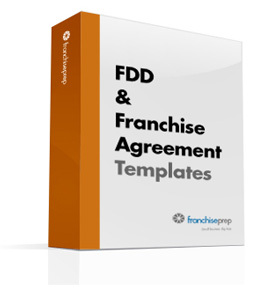 Our expertly written templates—including the Franchise Disclosure Document (FDD; formerly known as the Uniform Franchise Offering Circular, or UFOC)—make it easy and cost-effective to comply with regulations and start your relationship with your franchisees on solid footing. Easy-to-use templates for your franchise disclosure document, franchise agreement, and operations manual, plus our exclusive franchise development tools. A huge amount of expertise for the money. Ideal for service-industry or retail franchises. Our complete starter package. Includes easy-to-use templates for your franchise disclosure document, franchise agreement, and operations manual. Ideal for service-industry or retail franchises. 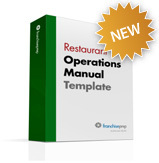 Create a manual to help your franchisees run things the way you would. Best suited for service-industry and retail franchises. 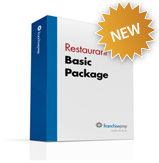 Developed specifically for restaurant franchises, this package comes with everything but a side of fries: templates, tools, and our special Restaurant Opening Template. Everything a restaurant franchise needs to start cooking. 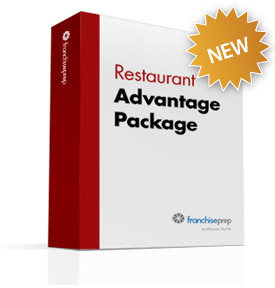 Includes our agreement and disclosure documents, plus our Restaurant Operations Manual Template and Restaurant Opening Template. Lay out your vision in clear, easy-to-follow detail. This template was designed for the particular needs of restaurants and includes our Restaurant Opening Template. Templates for the two most crucial legal documents you need—lawyer-edited and FTC-compliant. Perfect for any kind of franchise. Complete "how-to" guide for registering your franchise in the 15 states that require it. Includes all forms and instructions, plus tips from franchisors who've been through the process. Search our online library for disclosure docs from the pros.